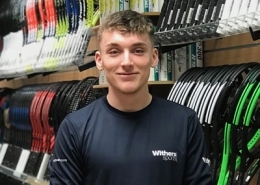 Cameron started full time at Withers in July 2018, having initially worked part time he has taken on the challenge of seeing if he can cope with us on a full time basis. 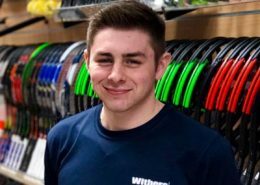 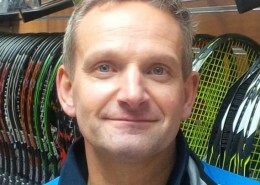 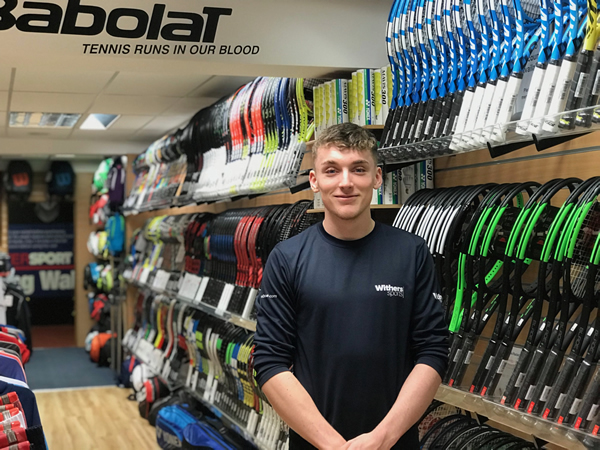 Enjoying all aspects of life at Withers, Cameron takes pride in his stringing and also ensures that his badminton rackets are among some of the tightest tensions! 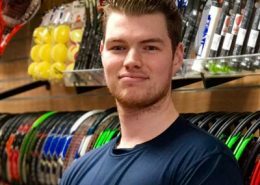 Having represented Leicestershire at County level Cameron is a handy player, fortunately his badminton is better than some of his jokes so we can just about live with him.